UK Wind Symphony will present its "Carnegie Hall Preview" 7:30 p.m. Saturday, April 13, at Singletary Center. LEXINGTON, Ky. (April 12, 2019) — The University of Kentucky Wind Symphony will give local audiences a sneak peek of its upcoming Carnegie Hall program beginning 7:30 p.m. Saturday, April 13, in the Singletary Center for the Arts. The “Carnegie Hall Preview” will feature music that will be performed at the prestigious venue May 29, 2019, as part of the UK School of Music 100th anniversary celebration season. UK Wind Symphony consists of the finest wind and percussion graduate and undergraduate students in the nationally recognized UK School of Music. As the centerpiece of a band program that has served the Commonwealth of Kentucky for over 100 years, the Wind Symphony continues a rich tradition of performing the finest traditional and contemporary compositions in the concert band/chamber winds repertoire. The UK Wind Symphony has been invited to perform at many of the most prestigious events in the college band profession, including recent appearances at the American Bandmasters 83rd National Convention in Lexington and College Band Directors National Association (CBDNA) National Conferences at the University of North Carolina at Greensboro, University of Minnesota and the University of Georgia. The Wind Symphony has also been recently invited to perform at the CBDNA Southern Division Conferences in Nashville, Tennessee, and Oxford, Mississippi, and at the annual conference of the Kentucky Music Educator’s Association, held annually in Louisville. In 2008, the Wind Symphony traveled to the People’s Republic of China and performed for thousands of Chinese citizens in person and via broadcast during a 10-day concert tour of several of China’s most prominent cities and highly recognized concert venues. 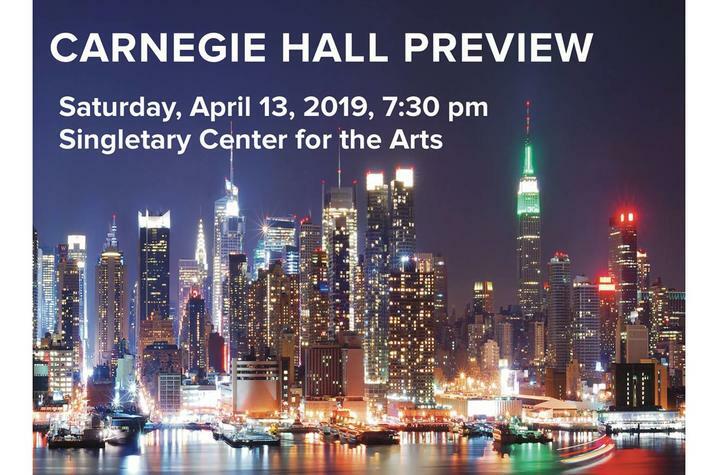 Tickets for the "Carnegie Hall Preview" are $12 for adults and $5 for students. Additional fees will be added to the transaction upon purchase. Tickets can be purchased at the Singletary Center box office, by phone at 859-257-4929 or online at www.scfatickets.com. Students with a valid UK ID can get a free ticket in person at the box office during Friday's business hours.